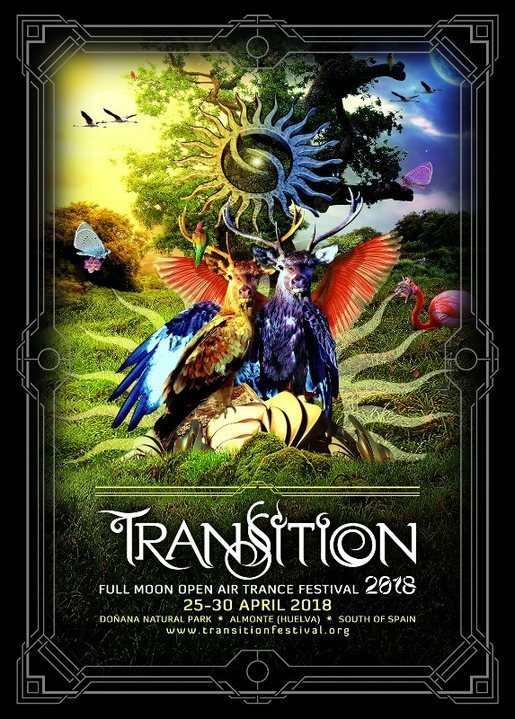 TRANSITION is a powerfull shamanic experience in a magical location under the full moon after the Spring Ecquinox. It is an initiation into the dance trance and a new door into another dimension with a constructive intuitive intention: to expand human consciousness and the relation between the soul, the body, and its center of power. Transition comes from latin <transitio> ("tránsito"): change of position, estate, or concept to another. Website and Presale open 8th July 2017 !!! Presale ends 16.04.18. Transition Festival is a family party and there are 1000 tickets available. The sooner you get your tickets the cheaper they will be. Thank you.